Massive manmade river begins moving water from central China to Beijing. 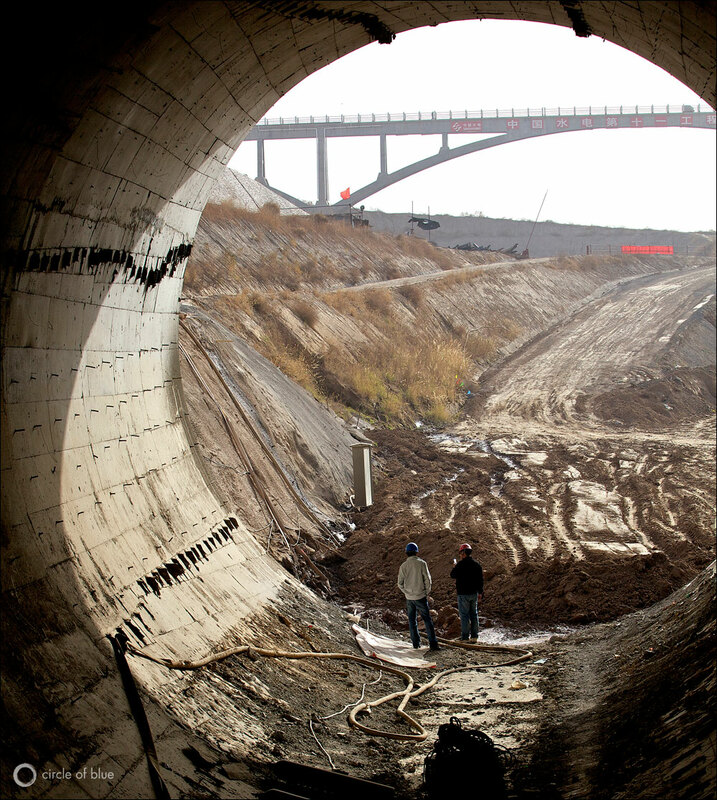 The dark openings of two pipelines beneath the Yellow River, like eyes on a flat face of dirt and rock, are unblinking witnesses to China’s South-North Water Transfer Project, under construction during 2010 in this photo. The project opened in late 2014. Click image to enlarge. 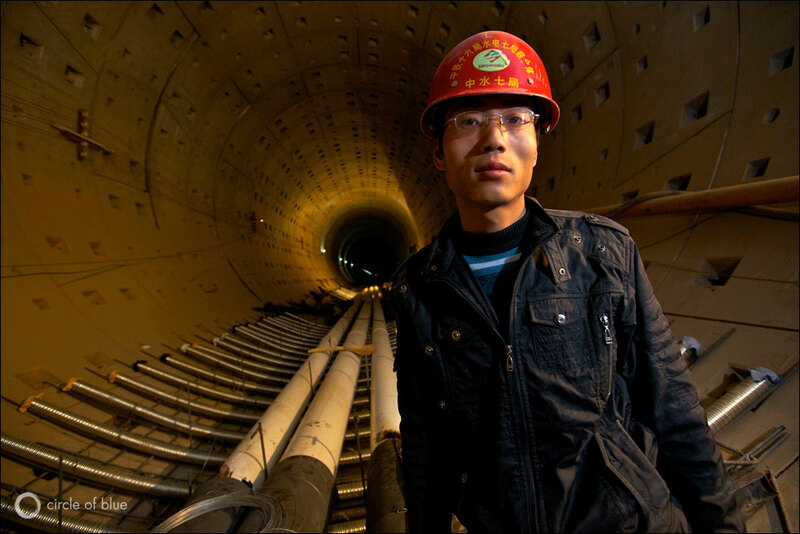 On December 12, 2014, China turned the spigot on the central line of its South-North Water Transfer Project, sending the first gush of water from Danjiangkou Reservoir along the 1,432-kilometer (890-mile)route to Beijing and other cities in the country’s dry north. Together with the transfer project’s eastern line, which began operating in December 2013, and a planned western line, the massive diversion will siphon as much as 44.8 billion cubic meters (11.8 trillion gallons) of water each year from the Yangtze River Basin, according to state-run news agency Xinhua. It is the largest project of its kind in the world, with a price tag upwards of $US 81 billion. Much of China’s energy and industrial production is located in its arid northern provinces, and the South-North Water Transfer Project is therefore seen as key to unlocking the country’s development potential. 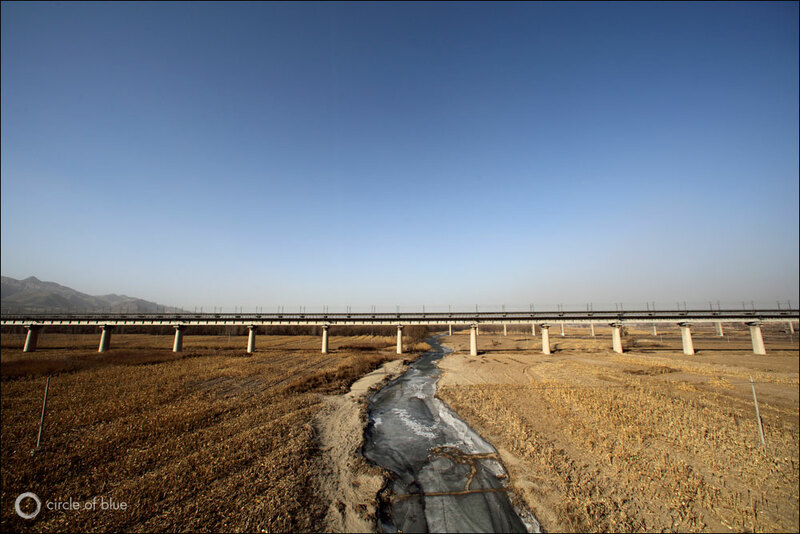 Nonetheless, critics have long raised concerns about the project’s social and environmental consequences, and even proponents have conceded it is no panacea for China’s long-term water problems. “The fact that the Middle and Eastern Routes of the SNWTP are now operational does not mean that North China’s water issues have been solved,” Britt Crow-Miller, assistant professor of geography at Portland State University who has studied the transfer project, wrote to Circle of Blue in an e-mail. Rapid urban population growth and severe industrial water pollution, for example, have led to increasing levels of water stress in northern China, according to Crow-Miller. The following photographs, taken by Circle of Blue reporter and photographer Aaron Jaffe, were first published in 2011 as part of the Choke Point: China project, produced by Circle of Blue and the Woodrow Wilson International Center for Scholars China Environment Forum. Click the images to enlarge and view in a slideshow. 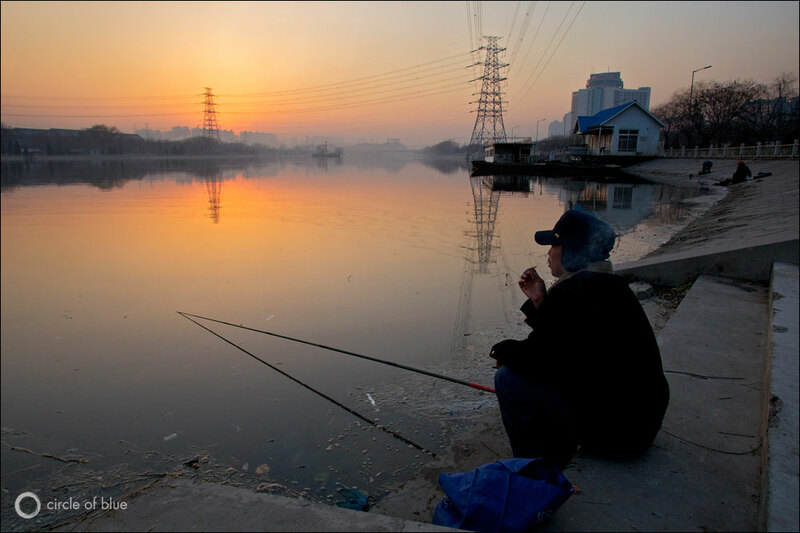 Though the Yellow River’s water is fouled with debris and industrial pollutants, it continues to be a focus of China’s fishing families. Agriculture is the largest user of China’s scarce water, though its share is diminishing while industry’s share steadily rises. China plans to eventually remove as much as 44.8 billion cubic meters (11.8 trillion gallons) of water every year from the Yangtze River Basin, which drains much of the nation’s central and western regions, and ship it north. 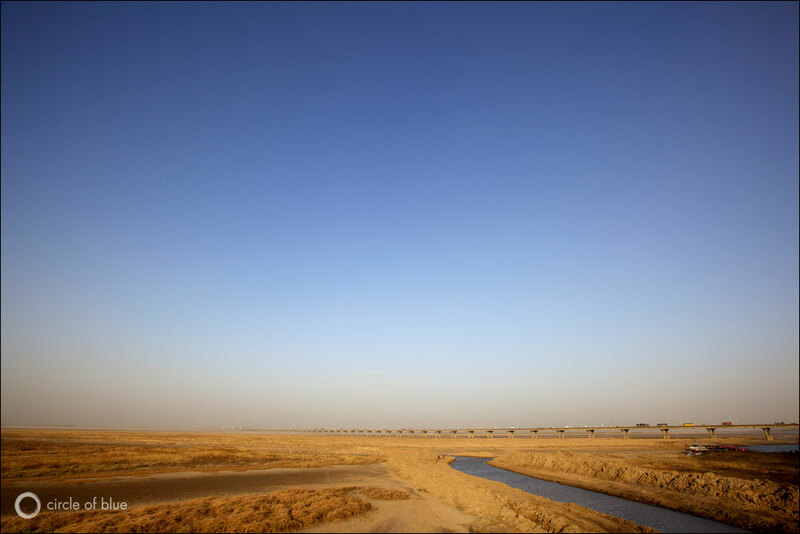 In the mid-1990s, the Yellow River was so exploited by industry and agriculture that it did not have enough water to reach its opening at the sea. Conservation efforts changed that, however, and now it does. 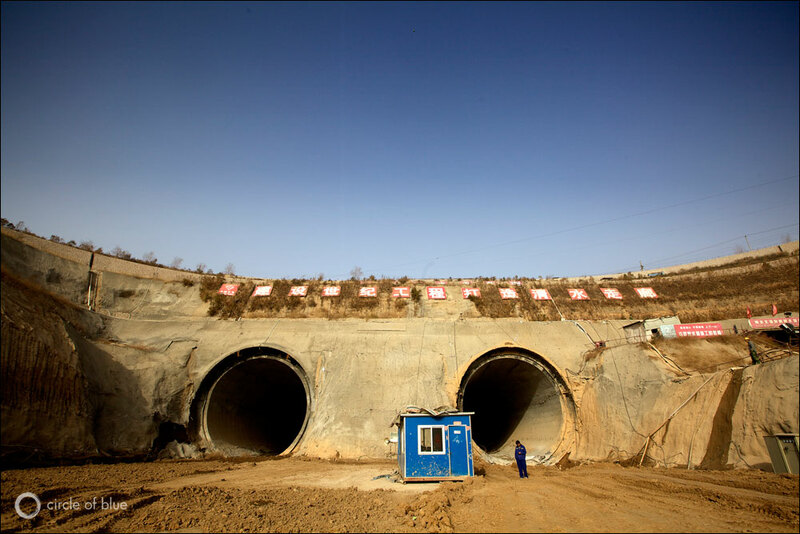 In December 2014, water carried by the central line of the South-North Water Transfer Project began to reach Beijing. In this 2010 photo, the tunnel was still under construction.